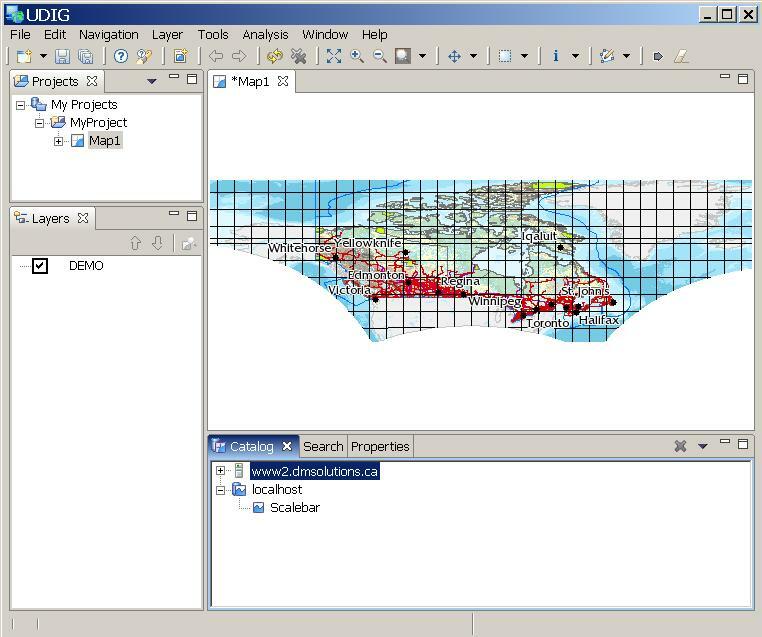 There are a number of options for adding a layer to your map. 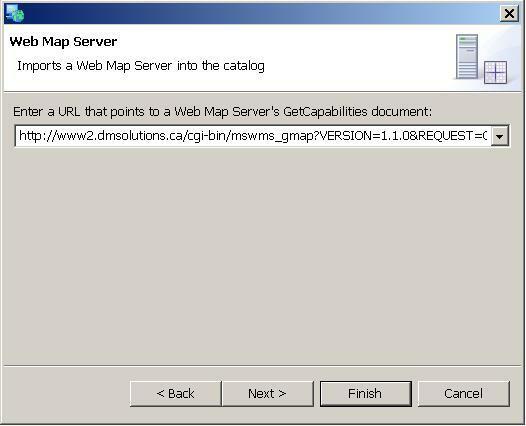 Select the Add item from the Layer menu to show the Add Layer Wizard. 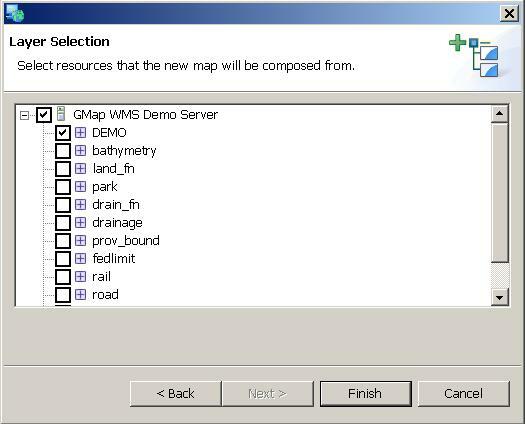 WMS Layers will be added to the Catalog and a new map containing selected layers will show up.